The speaking test of the IELTS Exam troubles most of the candidates. They are usually puzzled with things like their accent when they speak English, giving right or wrong answers, or even how they will practice in a more affective way. United College London has prepared a valuable list of tips in order to help all the candidates feel more confident and relaxed during their Speaking test. 1- Make sure you take the time to practice speaking English – with friends, at work, with classmates and on the phone. You should also consider recording yourself, so that you are confident speaking English during your test. 2- Don’t try to give a prepared speech, or talk about a different topic from the one you are asked to discuss. Stay on topic. Don’t change the subject or the examiner will think you have misunderstood and may give you a lower mark. Don’t try to memorise answers to sample subjects. The examiner has enough experience to recognise that you are not speaking naturally and spontaneously and will change the subject or give you a lower score. Use the sample subjects to give you practice speaking on a variety of topics, but not to memorise. 3- Give a full answer. Don’t just give one word answers like ‘Yes’ or ‘No’. Include more information. For example, when asked where you’re from, instead of just saying the name of the place, speak in a sentence which states the name, the location, and how long you’ve been there. This shows the examiner you are confident speaking in English. In each case, aim to explain at least one point. But don’t speak too long or the examiner will think you’ve misunderstood the question! 4- Speak clearly and don’t worry about your accent. Everyone has an accent when they speak English. The important point is that you speak the best you can so the examiner can understand you. Rehearse in advance to overcome any obvious pronunciation problems. If you make a mistake, don’t worry, just correct yourself and keep going. 5- Use descriptive words. Don’t use boring words like good, bad, nice, or okay. Use exciting words that show emotion. Practice using higher level words for every simple word you know – such as thrilled instead of happy, or depressed instead of sad. This will reflect how well you know the English language. 6- Speak up. Sometimes, students mumble and speak very softly because they are nervous or unsure of their words. Use simple, correct language rather than complicated vocabulary and speak loudly enough that the examiner can hear you clear enough. This indicates self-confidence and good command of the language. 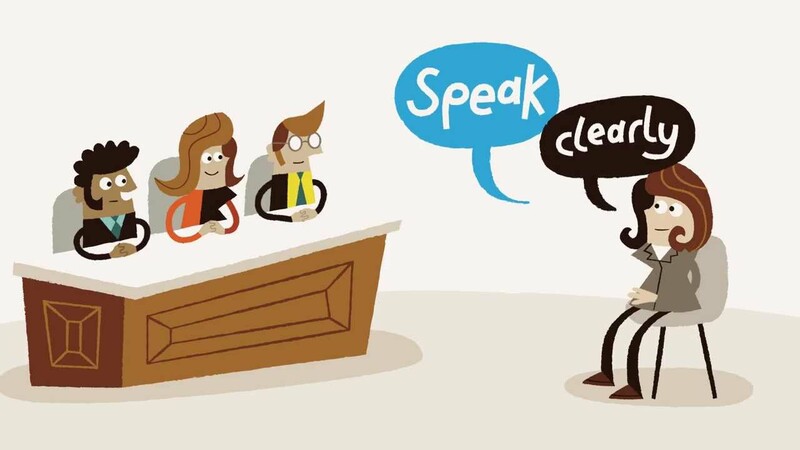 Remember there are no right or wrong answers in the Speaking test. The examiner will assess you on how well you can express your ideas and opinions in good English. 7- Don’t use slang. You have 11 minutes to display the best English you know in all the years that you have been learning English! Choose to be formal rather than informal. 8- Keep a steady pace. Don’t speak too fast or too slow. Organise and link your ideas and sentences appropriately, talking clearly at normal speed and using a wide range of structures and vocabulary. 9- Ask questions, if necessary, in Part 3 only. You cannot ask questions in Parts 1 and 2, but you can do so, if necessary in Part 3. 10- Practice speaking with a watch. Get an idea of how long two minutes is and approximately how much content you will have to cover. In general remember that you are not being tested on your general knowledge but on your ability to communicate effectively.